The Tennant Creek Land Use Plan is a longer term plan for the future of the area. 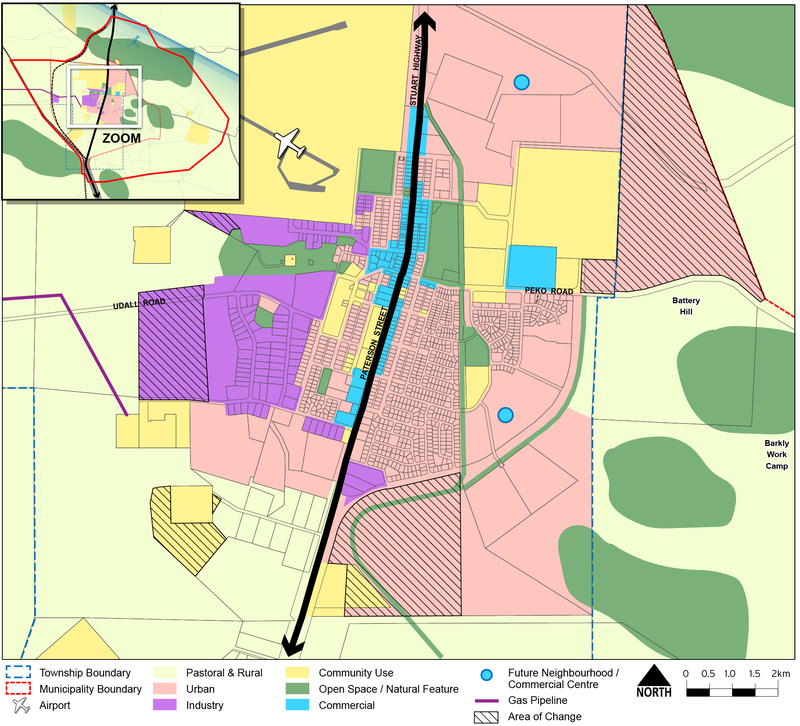 Once complete, the Land Use Plan will identify land necessary to continue the support of future development in Tennant Creek for urban residential and industrial purposes. Stage 2 consultation for the Tennant Creek Land Use Plan occurred from 10 July to 17 August 2018. 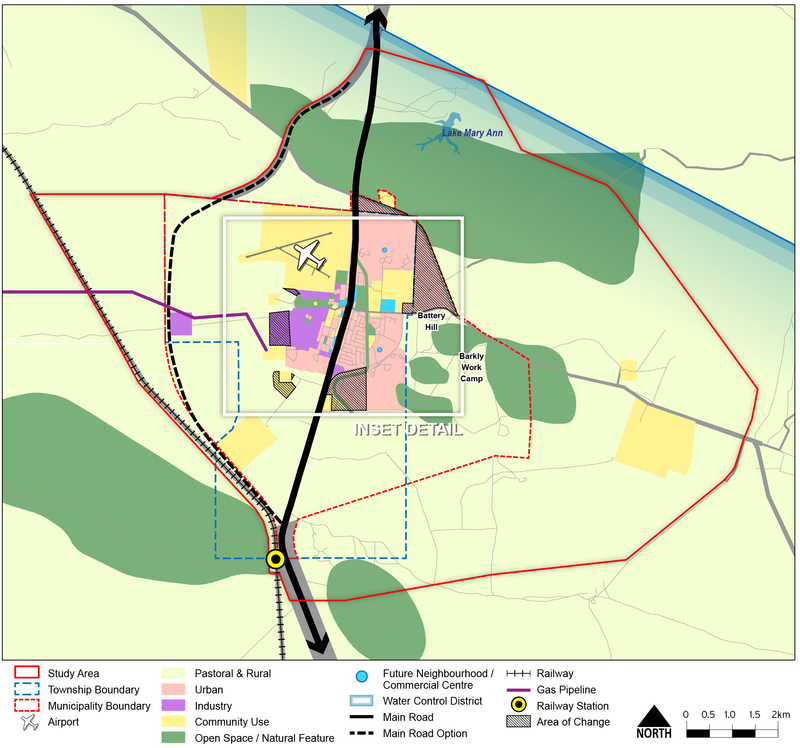 The draft Tennant Creek Land Use Plan (5.1 mb) is the outcome of infrastructure studies and advice from service authorities, other NT Government Agencies, and the Barkly Regional Council. Feedback received during Stage 1 consultation in October and November 2017 has also directly assisted in developing the draft Land Use Plan. A Land Use Plan is a plan that identifies current and future land uses and potential land requirements. It will ultimately form part of the NT Planning Scheme. Identify and protect major corridors for transport, energy and servicing infrastructure. Land Use Plans are included in the NT Planning Scheme and must be considered by the Minister or the Development Consent Authority whenever a rezoning or development is proposed. Land Use Plans also do not automatically rezone land. If a landowner wants to develop in accordance with the Land Use Plan the landowner must first rezone the land by applying to the Minister responsible for administering the Planning Act. Stage One, completed in November and December 2017 included the release of a discussion paper and first round of up front community consultation. Stage Two, occurred 10 July to 17 August 2018 which included the release of the draft Land Use Plan (5.1 mb). This has been prepared taking into account the feedback received from the community and information provided by the service authorities during Stage One. Stage Three is the final stage of the project. The Planning Commission will finalise and recommend the Land Use Plan and associated documents to the Minister for Infrastructure, Planning and Logistics for public exhibition as a proposed amendment to the Northern Territory Planning Scheme. The draft Tennant Creek Land Use Plan (5.1 mb) is a plan that identifies current and future land uses and potential land requirements for Tenant Creek that caters for future population growth. The draft Land Use Plan also shows where opportunities for land use change exist and provides focused locations to the east and west of Paterson Street for expanding urban growth and industrial development.